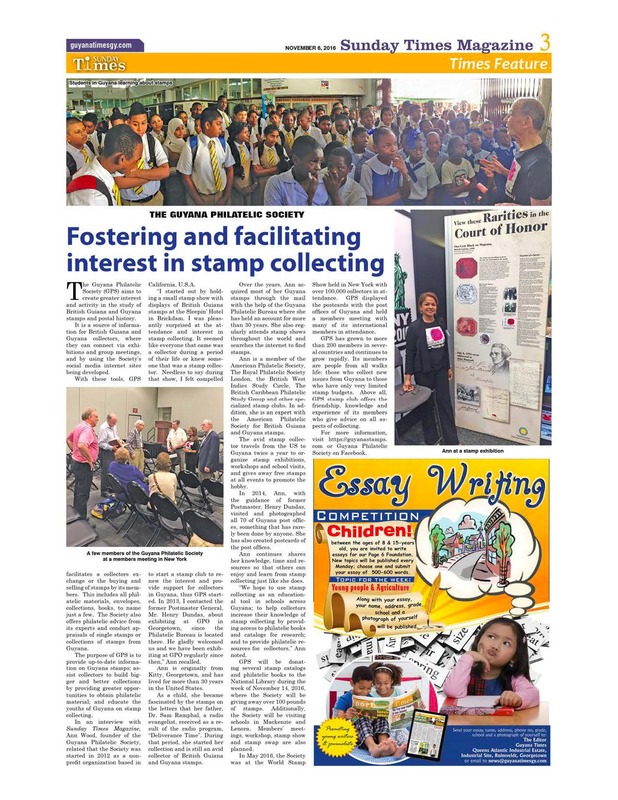 The Guyana Philatelic Society (GPS) launched its limited edition Postcard Series A, B & C at the Georgetown Stamp Show Celebrating Guyana’s 50th Year of Independence & Postal History on April 27th, 2016. Each postcard is serialized with a unique number. Series A, entitled “The Post Offices of Guyana” will consist of all the Post Offices in existence in 2014. The first 24 of the 70 Postcard in Series A were issued. In conjunction with the GPS Meeting at the World Stamp Show NY2016 on May 30th, 2016, an additional 23 Series A Postcards were issued. On April 27th, 2016, the first postcard in Series B, entitled “The Postal History of Guyana” was also issued. This postcard features the printing press used by The Royal Gazette to print the British Guiana 1c. Magenta in 1856. Finally, the first postcard in Series C, entitled “Commemorative Events of Guyana” was issued Celebrating Guyana’s 50th Anniversary of Independence & Postal History. This postcard consists of Guyana’s first stamps and features the Independence stamps issued on May 26, 1966. It is released in conjunction with the Celebrations of Guyana’s 50th Year of Independence.